I first realized I was crazy on a Tuesday. I mean, I suspected it before, obviously, but I’d been hoping it was just a phase, like when I was three and I wanted to be a fire truck. But on that fateful October day she said hello after the last bell, and it was official—I was completely bonkers. Tuesdays are usually my favorite day of the week. It’s a weird day to like, but for me, a gangly, eccentric thirteen-year-old social oddity with only one real friend, it has some serious perks. For one thing, we don’t have football practice. Most kids probably like football practice, but when you’re the backup kicker, you mostly just sit there and watch bigger, stronger kids run into each other and incur lifelong brain trauma. I know they’re still studying that and all, but just talk to Dale Howard for a few minutes, and you can pretty much put a yellow warning label on the helmets. Sometimes I get the team Gatorade—actually, I carefully arrange the cups into perfect geometric patterns to simplify drinking and reduce potential spillage—but that’s the only fun part. Usually I just sit on the bench by myself and think about what would happen if aliens attacked the field and started laying radioactive eggs in the end zone. Or if flesh-eating monsters that only ate football players emerged from the ground and chased Coach Clemons. Or if we were attacked by an evil supervillain named Klarg who shot fire out of his eyeballs and was strangely vulnerable to orange Gatorade, which of course I had in huge supply. You get the idea. The result is always the same: I save the world and never have to go to football practice again. You might be asking why I go to football practice at all. The problem is that my dad; my older brother, Steve; and my best friend, Max, all love football and may stop talking to me altogether if I quit. I think I’m already pushing my luck with Max, so I just keep on playing. Or sitting on the bench, anyway. I do some other stuff at practice too, but those are harder to explain. Like count the players and tie my shoes a lot and rearrange the cups after they’re messed up. I think those are all fairly standard bored activities, at least for me. I do lots of things like that. Not really sure why. I spend most of my time hiding them from other people, so I can’t exactly ask what’s standard. By the way, my name is Daniel Leigh. That’s like “lee,” not “lay.” People get that wrong sometimes. I did say I was a thirteen-year-old social oddity, which is true. Actually I’m not sure what else to add. People say I’m smart, and I was in the Gifted Program when I was younger, until they got rid of it because it was a bit confusing to tell the other kids that some students were gifted and they weren’t. Also I think they realized that if they continued the Gifted Program, us “gifted kids” would be separated our whole lives, but that happened anyway, so big deal. I don’t even know what being “gifted” means. I remember things easily and read novels every night, but that doesn’t mean I’m smarter than Tom Dernt, who prefers to play football and is now superpopular. My teachers say I have a huge vocabulary and write way above my age level, but my brother told me to stop using fancy words or I’d never get a girlfriend. He has a girlfriend, so I have little choice but to heed his advice. I mean take his advice. I also like to write. In fact, I am writing a book right now, though I don’t tell anyone that—even my parents. I don’t really want to share it, which will probably be an issue if I ever want to be published. It’s called The Last Kid on Earth. 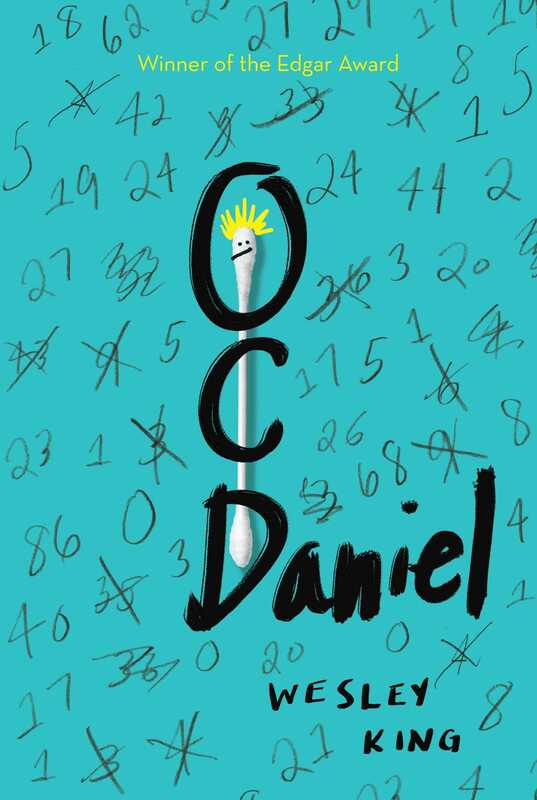 It’s an adventure story about a boy named Daniel. Cryptic, I know. I have written the first page fifty-two times, and I am still not happy with it. Oh, I also get distracted a lot and go on tangents. Which means I talk a lot about things you probably don’t care about, so how is that smart? Let’s get back to Tuesdays. Geography is my last class of the day. It’s one of my favorite subjects and rarely results in homework, since the long-suffering Mr. Keats usually just gives up on us and creates a work period so he can sit behind his desk and read the paper. There’s no math that day either—another bonus, since I really stink at math. So no football, no homework, and, to make things better, Max usually comes over to play video games since his mom gets home late from work that night. Like I said, Tuesdays are the best. Well . . . usually. This Tuesday was not so great. As usual, I was sitting next to Max, who was busy going on about our impending football game on Saturday morning against the Whitby Wildcats. He’s on the team too, but he actually plays. Max is the tight end, which is way more important than the backup kicker—though, in fairness, so is every other position on the field. Of course, Max tends to forget that I don’t even really like the sport and talks about it twenty times a day, but that’s all right. We’ve been best friends since kindergarten, and he didn’t ditch me when he got cool in the fifth grade and I didn’t. In fact, being friends with him even keeps me on the distant fringe of the popular crowd, where I would never be otherwise. I’m like the guy the cool kids know but wouldn’t actually call directly. That’s better than being the guy who gets shoved into a locker, who I definitely would have been otherwise. In any case, on that fateful day we were sitting in geography class and he was talking about football, and I was looking at Raya. Raya is a girl that we hang out with. Well, Max does. I hang out with Max, who hangs out with Raya. She’s this cool girl who’s really mature and way too pretty to look at the backup kicker of the Erie Hills Elephants. Yeah, not a great football name. We do this whole trunk thing before games. Never mind. Back to Raya. She wears clothes that don’t even make sense—cardigans and shawls and Technicolor stuff that aren’t usually considered cool. I think. I wear T-shirts and hoodies that my mom gets at Walmart, so I’m not exactly a fashion expert, though I read plenty of articles online in case Raya ever asks me about it. For instance I know that men should really wear fitted dress shirts and pants with pleats if they want to look successful and attract women. I considered it for a while, but my brother told me that he would personally beat me up if I went to school with pleated khakis, so I just kept wearing hoodies. I also know that some Parisian fashion designers still use ivory, which I find upsetting because it means they are killing elephants for a necklace that could easily be made out of plastic. I like elephants. They’re clever, compassionate, and reportedly remember everything, though I can’t confirm that. I’ll try to stay focused. Raya’s hair is cut pretty short, and it always looks supertrendy and is usually died red or something. But I really don’t care about any of that stuff. Okay . . . her eyes are really nice—they look like hot chocolate with marshmallows circling the mug, which is one of my favorite beverages. And she has a pretty smile that leans just a little to the right, revealing one of those pointy fang teeth. Those are just evolutionary remainders from our ancestors biting into sinewy raw meat and muscles, but for Raya the pointy fang teeth are perfect. She is also smart and funny, and she has this little dimple that deepens on her right cheek when she laughs. How long had I been staring again? “You’re being a weirdo,” Max said, nudging my arm. Max calls me Space Cadet, by the way. I do this thing where my eyes glaze over and I stare at stuff and don’t realize I’m doing it. “You know, she has her flaws,” Max said. My infatuation with Raya Singh was well documented. “No she doesn’t,” I said defensively. I almost laughed. The class was kind of whispering to each other anyway, but a laugh might have been a bit too much and drawn unwanted attention. Mr. Keats was writing some stuff on the whiteboard, and we were supposed to be taking notes. I think a few people were, and I kind of wanted to, but Max always advised me that it was way cooler to not copy the notes. Worse for tests, though, I always noticed. Max didn’t always give me the best advice. He was like a cooler version of me. He was lean and muscular, with closely cropped black hair and piercing blue eyes. Girls liked him, though he seemed a bit leery of them, which he probably picked up from me. I was flat-out terrified of girls. Especially Raya. I sighed and shifted my gaze to the whiteboard, where Mr. Keats had finally stopped writing notes and was now looking out at the class in disapproval. If I had to describe him in fashion terms, it would be striped button-down shirts buttoned to the top and pleated khakis. Oh . . . my brother was right. Geography Test: THIS Friday, October 19th. STUDY, PLEASE. Frowning, I picked up my pen and wrote the date down. At least I started to. 1. There’s something bad about that number. 2. Tingling down neck and spine, stomach turns into overcooked Bavarian pretzel and hits shoes. You will never be happy again for the rest of your life and you will think about it forever. 3. Stop writing the number. I don’t know if that makes sense. It’s like telling someone about a bad dream. They listen and they say “Oh, how terrible” but they don’t really understand and they only half-care anyway because it wasn’t real. And I think that’s what people would say to me, but it is real. It’s as real as anything. Think of the worst you have ever felt in your whole life—like if you got a bad flu or your dog died or you just got cut from a team you really wanted to be on—and imagine that happens when you take nine steps to the bathroom instead of ten. That’s kind of what Zaps are like. This wasn’t a new thing. The Zaps happened, like, ten times a day—on some days, even more. I had no idea why, except for the logical reason that I was nuts. I didn’t feel crazy, and I sincerely doubted that writing “19th” down on a certain line in my notebook was going to result in the end of the world. And yet I couldn’t shake the feeling. I quickly scratched the number out. “Why did you do that?” Max asked, glancing at me curiously. I bit back a curse. I was extremely careful to hide the Zaps, but I had lost focus for just a moment and had forgotten to check if Max was looking. My cheeks flushed. The rest of the class went by normally, with me stealing a few more looks at Raya. Just before the day ended, the announcements crackled to life. The entire class jumped. Most had been either dozing off or talking quietly, as we had been given a work period to finish an assignment. I had already completed mine (which Max had copied), so we were talking about football. Well, Max was—I was just listening to him and thinking about how happy I was that there was no practice that night. Max was halfway through a story about a new route he had to run, when the principal’s gruff voice cut in. Principal Frost was not an overly happy guy. He looked like a cave troll and had a personality to match: dour and temperamental. Sometimes I wondered if he even went home after school, or if he just lived in his office surrounded by the piled bones of students who had gotten one too many detentions. Principal Frost sounded even less thrilled than usual. With that, the announcement ended. The class instantly buzzed to life, with some of the girls looking excited and some of the guys making jokes or groaning. The principal had announced the dance at the beginning of the year, but I think everyone had kind of forgotten about it. Now my mind was racing. My eyes darted to Raya, who was of course looking completely oblivious to the news and listening distractedly to her friends. Was this my chance? Would anyone actually bring a date? I looked around. There certainly seemed to be a lot of whispering. “This sounds lame,” Max said. Max and I quickly packed our stuff up and hurried out of the class. The conversations around us were still squarely focused on the dance. Taj, one of Max’s football buddies, joined us, clapping Max on the shoulder and completely ignoring me. He did that a lot—probably because he was a foot taller and literally couldn’t see me. “You gonna ask someone to the dance?” Taj asked, grinning. “No one is going to do that, right?” I chimed in. “Ladies?” I asked, feeling my stomach flop over. “She’s a drama queen,” Max said. Max and Taj laughed while I hurried along beside them. So people were going to ask girls to the dance. Girls. Like Raya. Which meant I could theoretically ask her to go with me. I felt like I might vomit just thinking about it. Who was I kidding? I was so preoccupied with the dance that I belatedly realized I was stepping on the tile cracks. There was no need to be reckless. I quickly adjusted my pace by three quarters so that my sneakers fell squarely on the dull white ceramic. I was a master of adjusting my stride so that no one would notice. Up ahead a TA, Miss Lecky, was slowly walking down the hall, trailed by Sara Malvern. Sara was . . . different. She had gone to our school since preschool, but she was almost always taught separately from everyone else. She hadn’t spoken once in all that time. Eight years, and not a word. I still remembered the first day she joined a regular class. It was fifth grade, and when I walked in, she was sitting in the corner with a TA. Her eyes were on the board, and she didn’t notice us walking in. “Everyone say hi to Sara,” my teacher, Mrs. Roberts, said before class. We did, but Sara didn’t even smile. “Thank you,” her TA said. She didn’t speak for weeks, of course. I saw her TA say things to her, but that was it. She just sat there and never responded. It was November when she finally made a noise. She didn’t talk. She screamed. She looked off that day; flustered and sweaty and fidgeting. She didn’t usually fidget. I wasn’t too far from her, so I saw it all. Her TA tried to calm her down, but it seemed to get worse. Finally I saw the TA try to grab her arm to calm her down. Sara screamed. The whole class jolted, and Mrs. Saunders dropped her chalk. Sara wrenched her hand away, pushed her desk over, and ran out into the hallway. I never saw her in a regular class again. I’m not sure if she could speak or if she had a learning disorder or what. Actually I had no idea what was wrong with her. Her big green eyes were always foggy and glazed over like she was looking at something far away. She didn’t look at anyone or even seem to notice where she was. She just went through her day like a zombie, her mind elsewhere. She always wore a bracelet with a few little charms on it that jangled around as she walked, but I never saw what they were. The other kids all called her Psycho Sara, but I had never seen her do anything crazy, besides that one time. She just seemed distracted. I could sympathize. Sometimes I felt pretty distracted myself. Max, Taj, and I were just passing Sara when something unexpected happened. She turned to me, her foggy eyes suddenly looking clear and sharp.